The triptych that has been in St Paul’s United church was given to the parish by one of the prominent members of the parish just after the second world war. 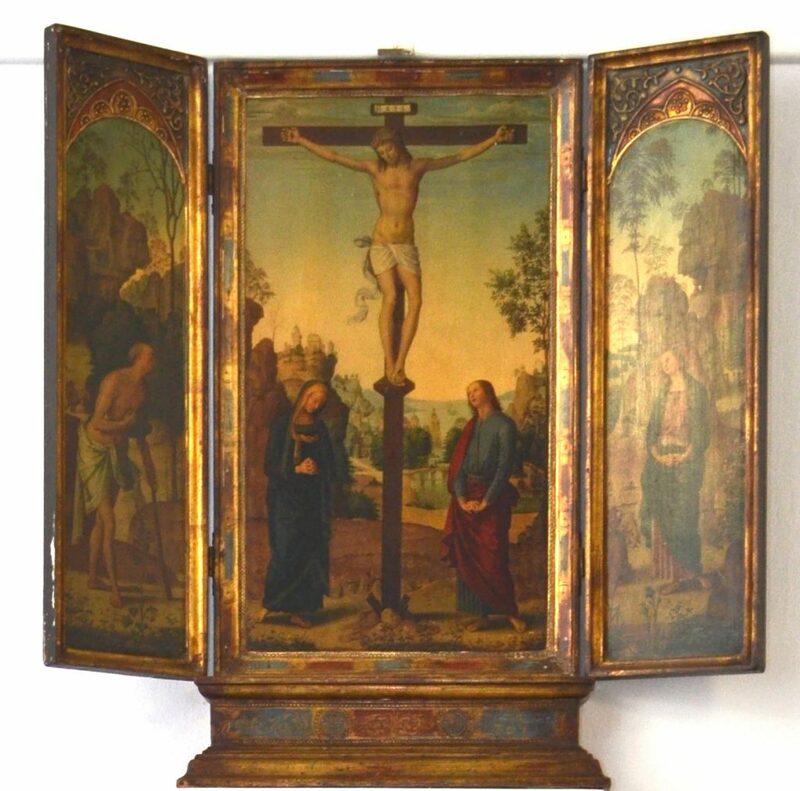 The image is a copy of a famous painting which was done by Pietro Perugino and is called the Crucifixion and the Virgin and dates from 1485 although this copy is certainly not that old. The original, which is painted with oil on canvass is housed at the National Gallery of Art in Washington D.C.